I know details are thin on the ground at the moment, but I'm trying to put it in a FPS category and not doing too well. They've said it's not really an MMO, and Bungie's contract with Acti has them down for making game + 4 expansions a year, so the best I can come up with is that they're trying to make a PvE Call of Duty, and I guess they'll be progressing the story over the major releases. Sorry to be a downer but I just can't get excited about space marines anymore, or doing nothing but shooting people. I hope there's some more ambition in this game than that but I doubt it. Yeah, I'm not "feeling it" either. As Idle Thumbs once said, "I'm tired of bros fighting wars". I still love shooting stuff and bros fighting wars, but I've never found a Bungie game to be better than average. I somehow doubt that'll change with this game, considering it's an Activision joint and they were brought on board to do what Bungie does. This really is almost a spin off of Halo. That being said the first halo did a lot of things right and new or newish. So I'll keep an eye out. That said if the gameplay doesn't do something creative and is just halo with a few tweaks I'll never touch it. I was trying to be nonchalant and not get excited but, after the reveal, I'm excited. This really is almost a spin off of Halo. And Halo a spin off of Marathon. Actually never tried that one. That being said, that's kind of sad. They most really love sci fi to be making the same style of game for a decade or so. The idea for the story sounds like it has interesting possibilities but everything around it sounds dumb to me. It's clearly just an MMO even if they don't want to call it that. Again, they haven't publicly fleshed out the details of the games, but I agree it's almost as though they're holding back on what the game could be a bit. I'm not sure if that's because it's releasing on current-gen consoles (at least the first one) and there's segregated online systems. On the possibility of a PC version, Parsons said: "We would absolutely love to be on the PC. If you talk to the people upstairs, we play it on all platforms. So, stay tuned." I was hoping (not really) that it wouldn't be generic. I'm out. Have fun, kiddies! You got that it was generic from one 4 minute reveal that barely showed anything? I think "generic" and "bland" both need to go in the dumpster with "compelling" and "visceral." Not all that enthusiastic so far. Not enough details, too much hype and spin, and no PC announcement. Happy to be proven wrong, but not feeling it at the minute. My eyes don't roll that hard. I received a pretty aggressive email from Gamestop about Destiny just now, and I started thinking about the game's potential success. No doubt with a ten-year deal Activision is banking on Destiny being bigger than Halo (because it'll be multiplatform). However, this is still a new franchise and over the years we've seen quite a few developers that couldn't replicate their earlier success when separated from the franchises that made them. Rareware, Factor 5, and Kojima's non-MGS stuff all spring to mind. Similarly, I question if Respawn can reach anywhere near as high as Call of Duty has in terms of financial success. With Bungie and Destiny in particular I wonder, as to me it seems a lot of Halo's success was more a result of circumstance than excellence. Activision seems to share the concern, as the email goes out of its way to mention Halo but not Bungie. And they know all about this stuff, as people have always bought the Treyarch CoD games the same as they buy the Infinity Ward ones. I'm not a huge Halo fan but Bungie put out some great games prior to that. The Myth games were ahead of their time and to some degree so was Marathon too. I think there's a lot to be said for being in the right place at the right time for Halo. MS buying them worked well for them, although it disagreed with Bungie. I think it's very difficult to say whether something is just going to be 'good' or whether it'll take over an industry before it happens. Past performance might tell you if you can expect quality, but not how well it gels with the gamers. The story has a Roadside Picnic vibe with hints of The Expanse series (I hope! ), so I'm totally down for that. Can't say I've seen too many MMOFPS outside of Planetside, and for a console no less, so my interest is piqued. Plus, you know, good will towards Bungie and what not. Let's see what they push out to the public at E3. Yeah it really comes down to the gameplay. You all pointed out what was bothering me about that video. It was pure hype and marketing. That's what was annoying me about it. I suppose it's a part of the business. A good game without marketing will fail in sales but have happy fans. A bad game with good marketing will just fail with the fans. I've personally thought Bungie's titles while good have also been very overrated. That they had this press event and basically said nothing other than this is a sci-fi game (backed up with what looked like a bunch of generic images of concepts), I'll wait to get hyped until they can bother to show something substantial. It could be really cool and I'm hopeful (though I do hope it has a story that's actually understandable and has interesting characters, unlike Halo) but yeah, the way they did this release comes across as a little bit arrogant and a lot of the press seem to think so too. Can't say I've seen too many MMOFPS outside of Planetside, and for a console no less, so my interest is piqued. If you're curious or craving, Defiance is supposed to be an MMOFPS on consoles/PC, coming in April supposedly. i can't speak to the quality, of course. There are quite a few free to play mmofps. That being said quite a lot of them are garbage. Although the one where you could turn into a werewolf in a firefight seemed amusing. It's going to be a mashup of Halo, Mass Effect, and Planetside. Produced by Bungie. I'm not seeing a problem here. I'm in. Haha never actually played, watch a little and it seemed alright. 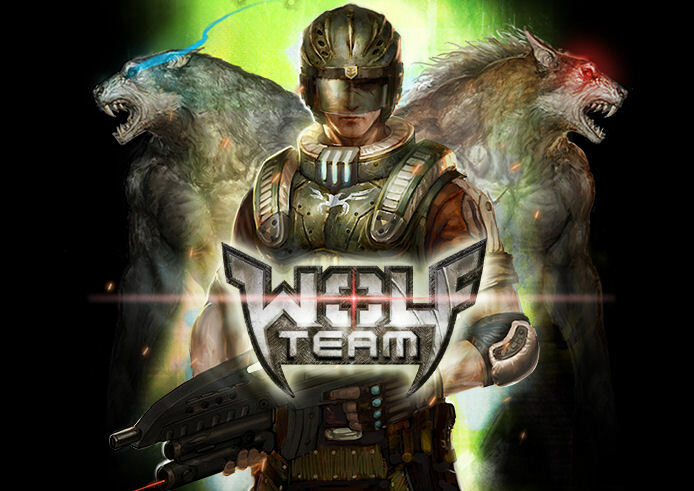 Basically a cs looking shooter but you can turn into a werewolf at anytime. What's neat is besides good melee then can jump and climb/run across walls and such.